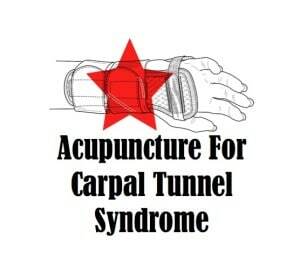 Carpal tun­nel syn­drome is an insi­di­ous con­di­tion that is very dif­fi­cult to heal, but I have found in my 30 years of acu­punc­ture prac­tice that even advanced con­di­tions can be resolved. One par­tic­u­lar situ­ation comes to mind, an out­stand­ing case involving an artist whose career and fam­ily income were threatened by carpal tun­nel syn­drome. His family’s wel­fare and his abil­ity to gen­er­ate income for his fam­ily were very much at stake. He was an Aboriginal paint­er and he used the “dot paint­ing” tech­nique to cre­ate his works of art. From doing this paint­ing pro­cess in a repet­it­ive man­ner over many years, he had developed carpal tun­nel syn­drome and was in enorm­ous pain and just totally unable to paint. This meant that he had no income for him­self and his fam­ily – his lovely wife and two chil­dren. It was imper­at­ive to be able to resolve this situ­ation for this artist. I’m happy to say that we did work effect­ively using Japanese acu­punc­ture but it was not easy work as the con­di­tion was firmly entrenched through many years of repet­it­ive small motor manip­u­la­tion. It took 12, maybe even 14, treat­ments, but the bot­tom line was that after two and half months of acu­punc­ture treat­ment, we got him back paint­ing again (and thus restored his live­li­hood). He still remains quite a good friend of mine and has gif­ted me two amaz­ing paint­ings as a way of say­ing thank you for the help we were able to provide and, to this date, he is still very act­ive in paint­ing and has had no relapses whatever with the carpal tun­nel syn­drome. Each per­son presents quite dif­fer­ently with this con­di­tion and in the very extreme cases it does require sur­gery. However, I urge any­one with this con­di­tion, before going down the sur­gic­al path, to exhaust all oth­er pos­sib­il­it­ies because once the sur­gery is under­gone, there is no turn­ing back from the reper­cus­sions. 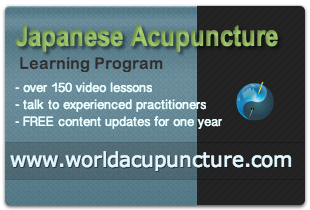 Watch Alan Jansson talk about carpal tun­nel syn­drome and Japanese acu­punc­ture — on video!